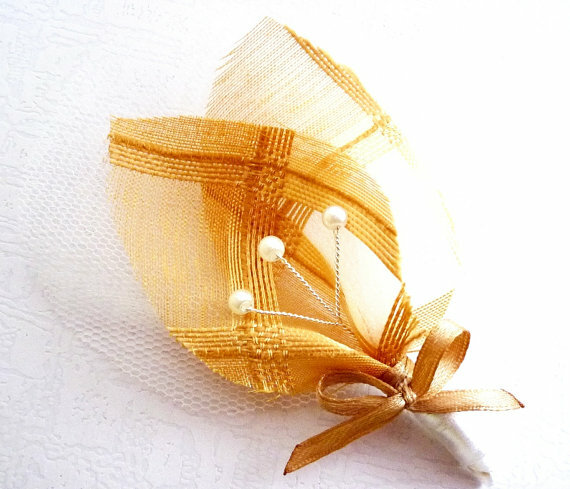 Spotted: this rustic gold boutonniere handmade by Senorita Joya is brimming with bright gold, white tulle and golden organza textile leafs. Lovely! Why buy fresh when you can buy a handmade boutonniere to keep forever? Check out this boutonniere and more (+ other accessories) here. 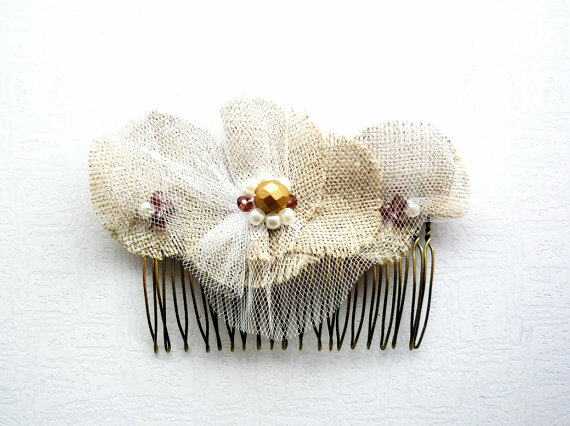 Spotted: a rustic wedding hair comb for your rustic chic wedding! Made with flowers, burlap, and tulle. By Senorita Joya. To order yours, visit Senorita Joya. Happy Friday! Today in The Daily Find we’re featuring a simply gorgeous pearl bridal necklace with a hint of something blue. 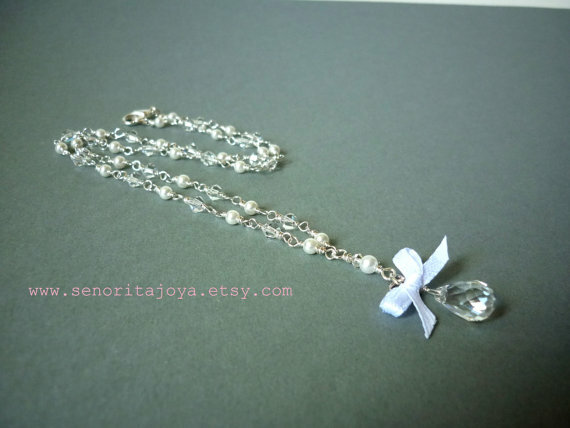 This necklace contains crystals, pearls, and a small blue satin bow on silver plated copper chain. Handmade with love by Featured Artisan, SenoritaJoya. To view more jewelry and/or to order this necklace, visit SenoritaJoya. P.S. Want The Daily Find delivered straight to your inbox? Sign up for FREE updates + you’ll be inspired by one fresh new find daily.